Some years ago I belonged to a gym. I went regularly – 3 or 4 times a week – and followed the same sequence of exercises every time: rowing, cycling, cross-trainer, weight-training. After a while, it occurred to me that my fitness wasn’t really improving as I was just “going through the motions”, following the same routine of exercise every day. Start at a different place from usual in your pieces. Use a random number generator (available as an app) to select a bar number as a starting point (Graham Fitch advocates this in practising). Vary the speed – slow practise is highly beneficial, allowing us to listen closely as we play and consider all the details of the score. Equally, challenging oneself to play a passage or piece at tempo encourages us to “play through” without stopping to correct errors. Add something new – try improvising on a handful of notes, chord sequence or passage in the piece. Practise away from the piano: this can include memory work, studying the score, listening to recordings (with or without the score) or “listening around” to other music by the same composer or music from the same period. Take frequent breaks: long periods of time at the piano can lead to fatigue and injury. Regular breaks allow brain and body to “reset”, ready for the next practise session. 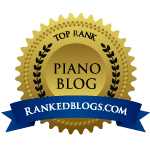 Previous postP is… for Piano Parents & Practising!